Letters, Caricatures and Other Works. Of the two Caruana Dingli brothers, both highly accomplished artists, Robert opted to be more of the reckless prodigal son. He took an active role on the anti-colonialist front, fearlessly putting his name to his scathing political satires and cartoons, at a time when advancement in any field in Malta presupposed a blind loyalty to imperialism. His art interests were much more varied, far more adventurous and inquisitive than his brother Edward’s. 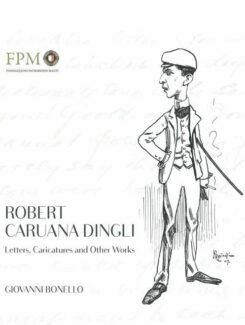 Robert Caruana Dingli, a master of pictorial technique, started feeling the siren’s lure wafting from Europe to place his talent and inspiration in the wake of the more moderately daring experimentations that were then taking over all the more progressive metropolises of art. This book makes public a unique trove of over a hundred personal letters written during and after the First World War by Robert to his close friend and mentor, the art expert Vincenzo Bonello. Robert’s letters come across as passionate, emotional, often quite over the top. 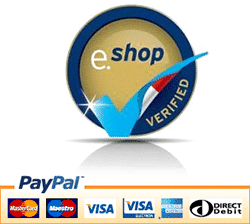 These letters deal preponderantly with current matters, painters’ gossip, art work in progress, money problems, the international art scene and, sometimes, with more personal issues. When he considered the occasion warranted it, he could be mercilessly scathing towards other artists and not averse to resorting to colourful, sometimes scurrilous if not outright vulgar, turns of phrase. It can safely be claimed that Robert’s letters to Bonello constitute a fundamental breakthrough in the understanding of the art milieu of the early twentieth century. 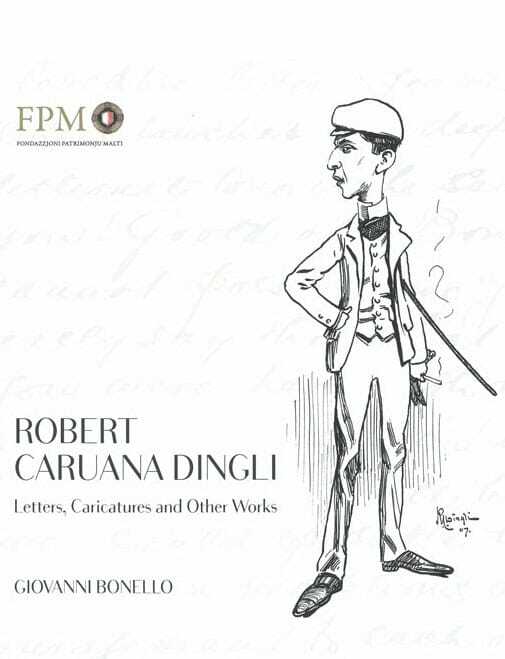 The personality and the spirit of no other Maltese artist of that period have had the fortune of being documented so intimately, almost invasively, as Robert Caruana Dingli’s do through these, his own, incredibly candid outpourings. He was a man of intense artistic sensibility, of strong likes and even stronger dislikes.